A glorious day of racing, Southern belles and mint juleps. Also: really big hats. 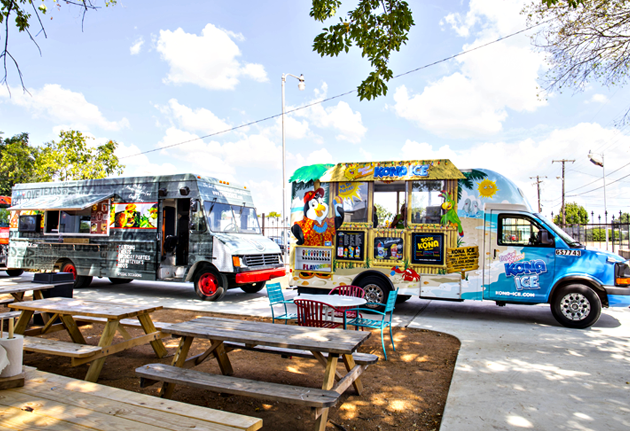 Anyway, it’s coming up this weekend, and we thought you should do something special—boozy-snow-cone-level special. 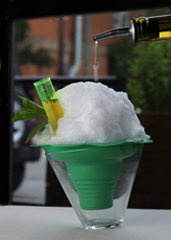 Meet the Mint Julep Snow Cone, a, yes, snow cone filled with bourbon and muddled mint, now permanently on the menu at LaGrange. So, LaGrange. You know this place for its long wooden bar, for the Texas rock played on its stage and for the vintage jukebox where you’ve no doubt dropped a little Johnny Cash. You’ll see a fresh block of ice placed in their shaved ice machine. A mere 11 seconds later, you’ll have a plastic green cone overflowing with white fluffy snow. Then your bartender will gently pour their housemade simple syrup with muddled mint leaves over your frozen concoction. Finally, you’ll be presented with one minty ball and one test-tube shot of bourbon to use at your discretion. Go ahead, throw caution to the wind.